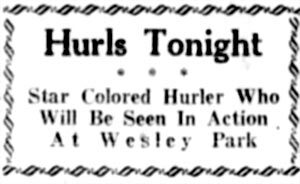 for a 1928 game at Wesley Park, Winnipeg. Montana in the Manitoba capital. after giving up five runs in the fourth inning.